Many vegetables make good home crops, and the cucumber plant (Cucumis sativus) is one of the best. Usually quite productive and easy to grow, a failing cucumber plant can leave you wondering if your green thumb has turned brown. 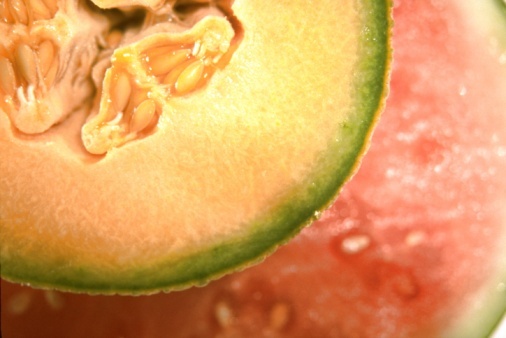 Sometimes, however, cucumbers develop but fail to turn green or start out green only to become orange or yellow. Yellowing cucumbers might signal a problem but they are sometimes a natural occurrence. Knowing the difference is the first step, followed by making some changes to prevent abnormal yellowing. Although most cucumbers are dark green, yellow varieties do exist. The "Lemon" cultivar is a good example. Like all cucumbers, it grows as an annual in all parts of the United States. It differs from other cucumber varieties in that it produces ball-shaped, 4-inch wide cucumbers in bright yellow. Whether you start cucumber plants from seed or purchase seedlings at a nursery, check the label and know what you're growing. It's possible your cucumbers were always destined to turn yellow. Cucumbers left on the vine too long will also turn yellow and orange as they start to fade. They may also become overly large. 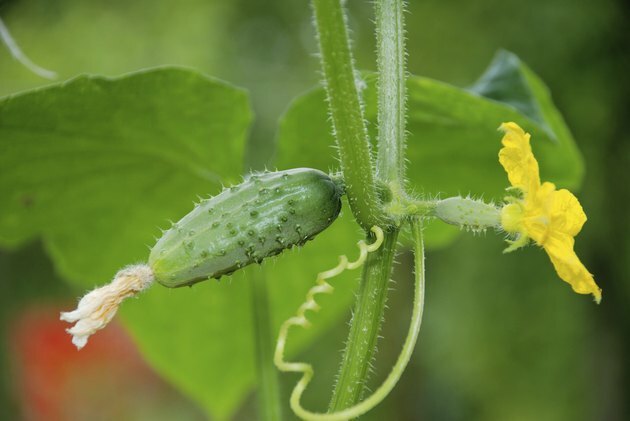 While you certainly won't enjoy eating these bitter vegetables, leaving them on the vine slows or stops the production of new cucumbers. It's best to remove and discard them. Improper watering and fertilizing can both result in yellow cucumbers. Cukes have shallow roots that crave moisture, but leaving them with wet feet can make them turn yellow. Cucumber plants do best when watered once weekly during dry spells, or whenever the top inch of soil feels dry to the touch. A particularly rainy growing season may lead to a disappointing crop. 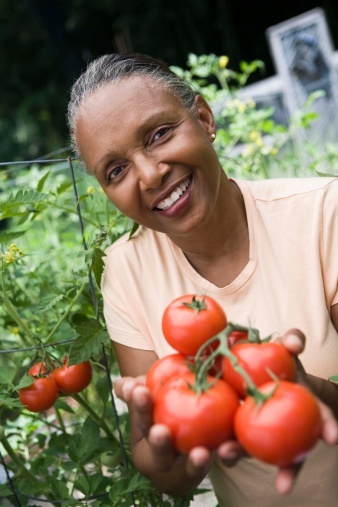 Adequate nutrition also helps ensure healthy green cucumbers. A lack of nutrients can cause yellowing of both the leaves and cucumbers, which may stay small rather than reaching their full size. To prevent this, mix 1 cup of a 10-10-10 granular fertilizer into each 10-foot row at planting time. When the young vines reach 1 foot in length, mix 1 tablespoon of fertilizer into the soil beside each plant. Mosaics are often attractive works of art, but this is not so when it comes the cucumber mosaic virus. This disease is incurable and caused by an organism that creates a yellow, mottles appearance on the cucumber plant's leaves. It also causes small, stunted cucumbers with yellow or white mottling. Remove and destroy any plants that show signs of this virus and keep a close eye on any remaining cucumbers in your garden. Aphids and cucumber beetles spread the cucumber mosaic virus, so controlling them is important. Early in the season, cover the plants with floating row covers. You'll need to remove the covers by early summer to allow pollination, but they will offer young plants protection early in the growing season. For pest control after you uncover the plants, spray them with insecticidal soap, diluted at a rate of 5 tablespoons of soap per gallon of water. Spray on a still, windless day and repeat every two weeks as needed. While the cucumber mosaic virus is the biggie, several other issues can cause yellow, wilted plant leaves and small cucumbers with an orange or yellow color. 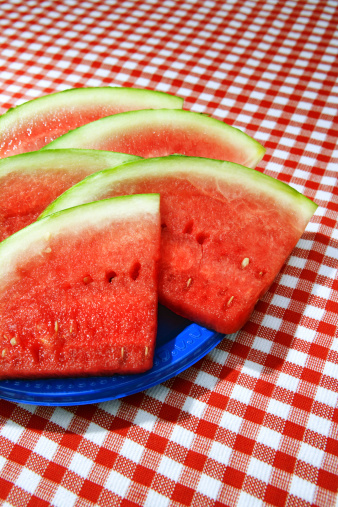 These include bacterial wilt and fungal problems. Striped cucumber beetles spread bacterial wilt and are best controlled with the same floating row covers used to discourage aphids. Later in the season, handpick the beetles off the plants when you see them. This is a much safer alternative than pesticides since you'll want to know your cucumbers are chemical-free and safe to eat. Fungal disorders are best controlled by keeping air flowing through your crop. Space your plants 8 to 15 inches apart and avoiding wetting the foliage when watering. Growing plants on trellises also improves air circulation while keeping cucumbers up and off of moist soil. If you do experience disease problems, choose disease-resistant varieties next year and try again, "Marketmore 76" and "Fanfare" are two excellent options. Rotate your planting location every two years, as well. Cucumber beetles can overwinter in your garden soil and easily find (and infect) your cucumbers again if you plant them in the same location.